A puppet cast discovers and enacts the traditions of the holidays in Passover at Bubbe's. This uplifting family film, originally released in 1990, was the winner of a Kids First! Award. It features colorful Muppet-like characters involved in Passover preparations. The holiday story touches the heart of young and old alike with its account of the warm relationship between grandmother Bubbe and her granddaughter. The film contains original music and historically accurate information. 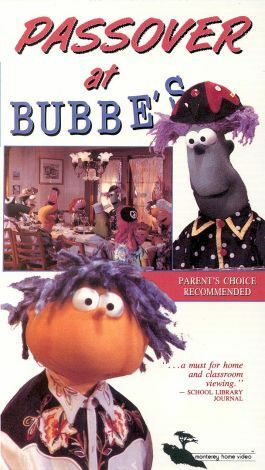 Passover at Bubbe's is one of a series of home videos featuring the Bubbe puppet family.